Winspear Avenue and Northrup Place are located in the University Heights neighborhood of North Buffalo. Winspear Avenue runs between the former Erie Railroad corridor across Main Street to Bailey Avenue. Northrup place runs parallel to W. Winspear, meeting up with Winspear just across Main Street. The streets were named after business partners who developed the streets in the vicinity of the streets that were named after them and what is now the University of Buffalo – Charles Winspear and Eli Northrup. Charles and Eli both grew up in Elma, New York, sons of two of the first settlers in Elma. Three members of the Winspear family have held important public positions. 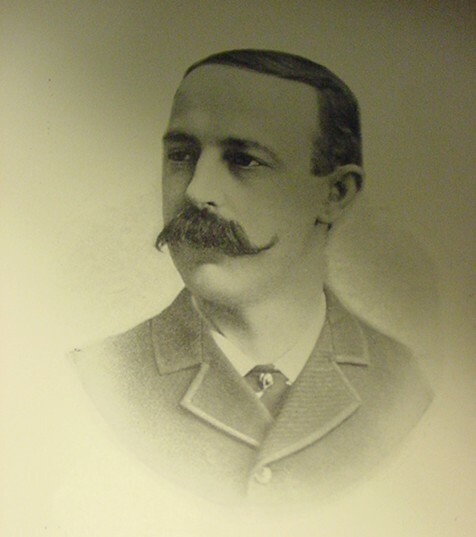 William Winspear settled in Elma prior to the Civil War and served on the Erie County Board of Supervisors. William owned a mill on the south side of Big Buffalo Creek. Winspear Road in Elma is named after William Winspear. Captain Robert Winspear, William’s nephew served on the Buffalo police department for more than 30 years. William’s son and Robert’s cousin, Charles, was born in 1854 in Elma and began his education in the rural schools. Charles came to Buffalo as a young man. At the age of 23, he was appointed clerk of the Erie County Almshouse and Insane Asylum, which later became what are now Crosby and Hayes Halls on the University of Buffalo South Campus. The original Almshouse had been built around 1850. The first Almshouse burned in 1854 and its replacement burned in 1862. The almshouse was located where Crosby Hall is today. The Insane Asylum building was constructed in 11874 to replace the outdated structure and is now Hayes Hall. By 1900, the Insane Asylum had become the County Hospital. Hayes Annex D and Wende Hall were also a part of the County Hospital Complex and have been around since at least 1900. Winspear Avenue was laid out around 1880. Around this time, development of the neighborhood was attempted by Alexander Ross. 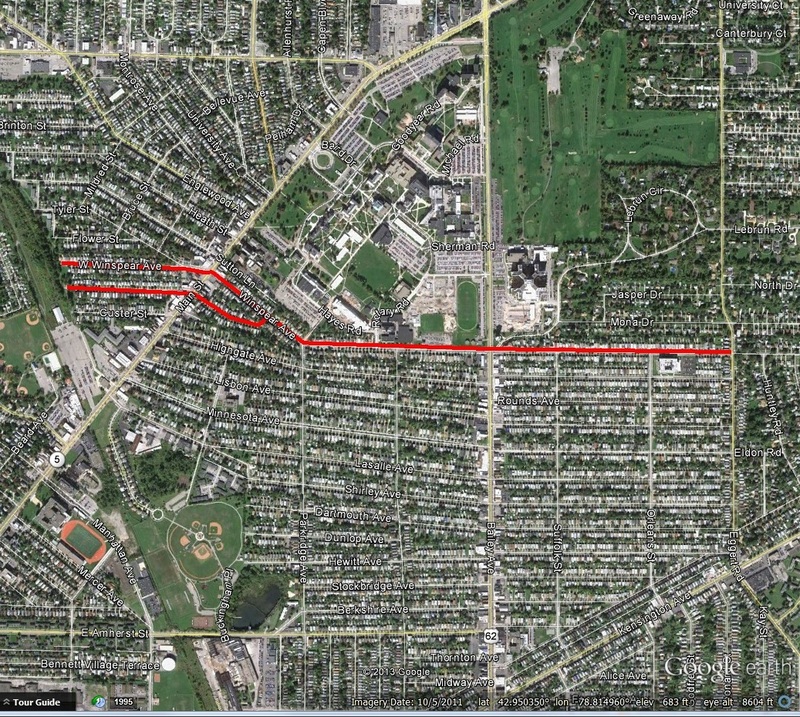 This attempt failed because transportation to this northern corner of the City of Buffalo was difficult. The street car only went to Cold Spring (around Ferry Street and Main Street). The City boundary did not include the area that became University Heights at this time. Buffalo’s growing population and improved transportation spurred successful development further away from the downtown core. The Buffalo and Williamsville Electric Railway trolley opened in 1893 and ran along Main Street. In 1898, the City boundary had expanded to include this area. In 1893, Charles became superintendent of the New York State Custodial Asylum for Feeble-minded Women in Newark, New York (in Wayne County_. Although he lived in Newark until his death in 1916, he retained many connections in Buffalo. Charles Winspear is buried in Newark Cemetery in Newark, NY. While working in Newark Institution in 1909, Charles formed a partnership with Eli Northrup in the real estate business. They bought large tract of land south of Englewood Avenue and developed several streets, including Winspear Avenue and Northrup Place. West Northrup Place was originally called Morton Street, Northrup Place was originally Hillary Place and Winspear was known as Wilmer Avenue. It is likely that Charles and Eli sensed that there was potential for growth as the University of Buffalo purchased the almshouse and farm from the County following its closure in 1909. This was a unique location because you were close to the streetcar to take you into Downtown Buffalo via Main Street and also close to the Train Station to take you to Niagara Falls (it was located at Main Street and LaSalle Avenue). Eli Baker Northrup was born in January 1836 in Holland, NY and raised in Elma. His father, Lewis Northrup, had built the first house in the Spring Brook hamlet of Elma in 1843. Northrup Road in Elma is named after Lewis. Lewis Northrup built a saw mill on Cazenovia Creek in 1844 and a grist mill ten years later. 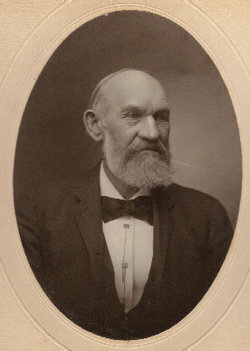 Eli Northrup inherited the saw mill and grist mill in 1866. Eli remodeled the mills and built a stone dam in 1873. Eli died in January 1912. and is buried in Union Cemetery in Elma, New York. Jackman, Warren. History of the Town of Elma, Erie County, 1620-1900. Printed by G.M. Hasauer & Son, 1902.